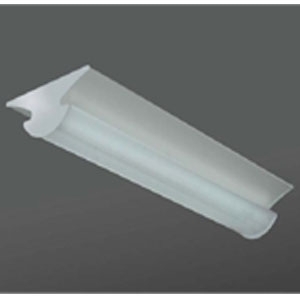 The MCG Surface Linear Direct/Indirect is a contemporary, low profile luminaire designed for surface or suspended mounting. It is available in T8 and T5 lamping. Ideal for use in classrooms, conference rooms, reception areas, or anywhere surface mounting is preferred and indirect illumination is desired. Highly-reflective, matte white finish provides soft, uniform indirect illumination. The round hole perforated center basket with reflective, white acrylic diffuser controls glare and veiling reflection. 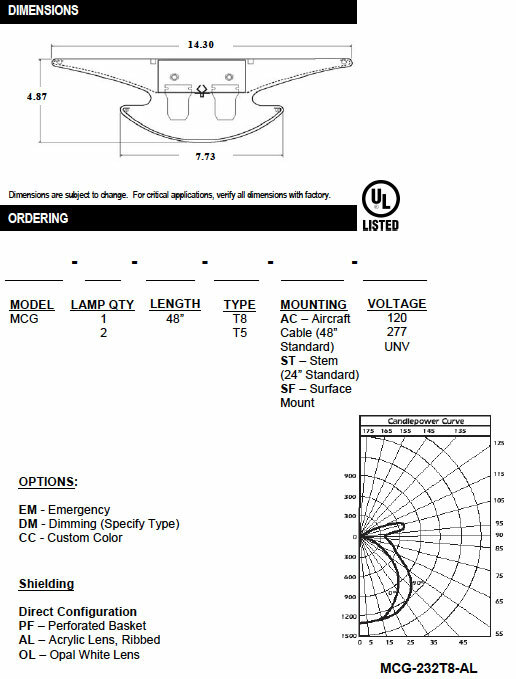 Fixture is also available with fluted or smooth lens for added direct illumination. Die-formed heavy gauge steel unitized into one piece. Perforated diffusing element with matte white acrylic overlay or lensing as desired. All metal parts are pretreated using a phosphate bonding process and finished with an electrostatically-applied, high temperature, white baked matte enamel for superior reflectance and durability.